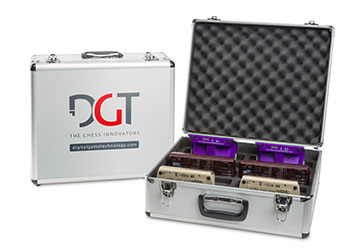 We developed a strong aluminum storage case for the DGT chess clocks. Instead of 8 clocks the new case fits 10 clocks. Instead of fitting one specific type of clocks the new case fits any type of DGT clock.